All the Administration of Bihar School Examination Board Patna who is affiliated with secondary education are informed that BSEB 10th Examination form is going to fill online. All the Schools and institute who are affiliated to the BSEB they can fill the all the students who are eligible to participate in the Bihar board matriculation examination 2019. Students Form of BSEB 10th Class Board Exam can be filled by the School Administration or Vasudha Kendra. If any school who have not enough source for filling of BSEB Matric Exam Form 2019 Online they can contact their nearby Sahaj Vashudha Kendra Which is allotted by the BSEB. Please note Students by their self can’t fill online Exam Form of Matric Bihar Board Exam 2019. 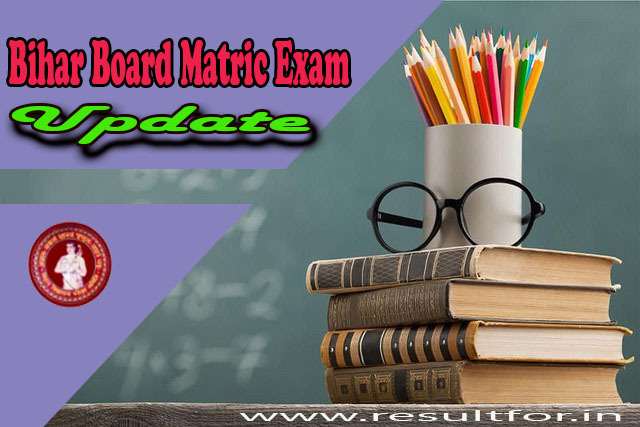 Numbers of computer operator who got a work of Filling BSEB 10th Examination form they are willing to know what is the website of Matric Examination 2019 Form Filling. What are the requirements for the filling of the examination form? I wish to say that students who enrolled this year they can fill online examination form by searching their name. Name in the list of eligible students can be searched from the login where registration of 10th Class students done. There need to match the student’s name with their father’s and mother’s name and registration number which has been allotted to them. For filling of the Ex-students examination form of matriculation of Bihar Board, Patna needs to log in at Bihar board website using user id and password which has been allotted to them already. Where need to choose the student category – Ex-Student / Improvement/Compartmental or Qualify. Need to enter roll number which has allotted in previous examination or Registration number. Bihar School Examination Board, Patna BSEB yet not announced any notification for the BSEB xth Exam Form apply date and what will be Exam Fee of SC / ST / General and OBC. As Board will announce such notification. We on this website in describe way update with the direct link to download official notification of BSEB tenth Exam 2019. After searching the details need to enter the name, father name and mother name in Hindi. Confirm the date of Birth. After Entering all the student’s personal details, reverify the details once again. After that Tick on Option for declaring the details. Require to Upload the student’s photograph and signature. After again confirmation of all information is true to have to click on submit button. After the filling of examination, form pays the Bihar Board Tenth Examination fee by online mode or cash by SBI Challan or Allahabad bank Challan. If you have any question regarding filling of Bihar Board Class 10th Examination Form then ask for the comment. Before the filing of Online Examination Form of 10th Board of Bihar read all the notification of filling matric Secondary Examination Form filling details. Belos is the link to go the official website of Bihar Board. Humble Suggestion from Admin: I am from Bihar and it observes that Some of the students due to financial condition unable to pay their examination fee, Hence I suggest to all the students who are going to appear in Bihar Board 2019 Annual Board Exam make an arrangement of the fee of the exam. Hence you have to no face any difficulty to fill up the exam form.